I'm so excited to link up with A First for Everything, Stories and Songs in Second, Pawsitively Teaching, Lessons with Mrs. Labrasciano, and Inspired Owl's Corner for a Pet Linky! I'm linking up to join them in celebration of our love of pets. 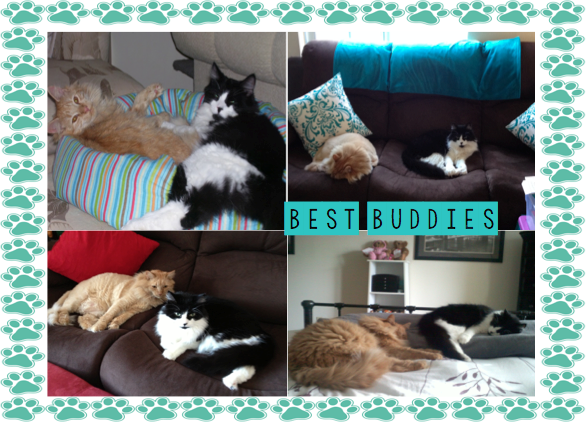 My cats make my world go 'round so I loved the idea of sharing my fur babies for this awesome linky! Be sure to scroll all the way through so that you can grab a freebie, enter our amazing giveaway, and join the linky if you'd like! Let's start with a little story of my favorite four-legged friends! When I was in graduate school in Massachusetts and supporting myself for the first time, I decided to adopt my cat Brewster. It was a big decision because I knew that I was making a commitment to take care of him for his whole life. I was at a point where I finally felt responsible enough to make that commitment, so I took to Pet Finder to find a kitten. If you have not been to this site, brace yourself, you WILL want one of everything! It is hard to make a decision. 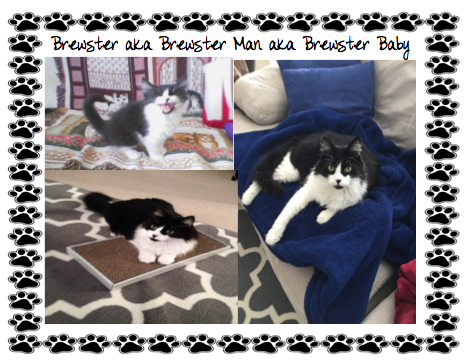 My cat Brewster was named Bugsy and was in a foster home when I saw his adorable little face and decided that I wanted to adopt him. I remember waiting for my application to be approved and emailing the woman daily to see if she had made a decision yet. When I finally got the call, I was so excited. I picked him up when he was exactly ten weeks old. I will never forget how little he was back then and how much he cried the first few nights. It was heartbreaking. But, once he adjusted, he quickly became my best buddy, always keeping me company, and always wanting me to throw a mouse for him to fetch. Yes, like a dog, Brewster will fetch the mouse, bring it back to you, and wait for you to throw it again. He's a blast. He greets me at the door when I get home, sleeps on my feet every night, and snuggles with me every morning. It's hard to believe that he'll be 11 years old this November. He is still playful like a kitten, but he's 12 pounds of fur so he's no kitten anymore, that's for sure! Brewster is my longest commitment, and I hope that he'll be my furry companion for years and years and years! A year and a half after I adopted Brewster, I decided that he needed a companion. I was finishing my first year of teaching and I wasn't home very much because I was so busy, so I wanted Brewster to have someone to keep him company. I knew I couldn't get a kitten, since Brewster was much bigger by then, so I searched all of our local shelters for the perfect match. When I found Tucker, whose name was "Kurt" at the time and was 6 months old, he was at the MSPCA and he had a giant room to himself. As soon as I entered the room, he jumped on my lap and started do snuggle. It wasn't hard to decide after that moment. I brought him home a few days later. He was a sick kitty for our first two months together, and I had to keep him isolated from Brewster while I worked on getting him healthy again. The top right picture is what he looked like at that time. 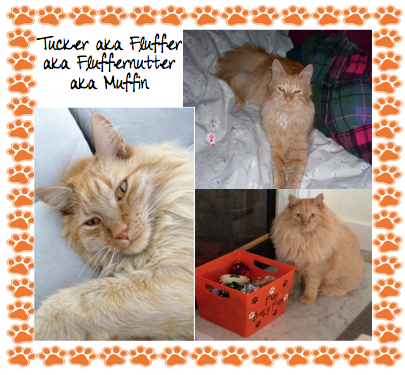 Well, Tucker has certainly returned to health, and at 9 years old, he's a healthy 24 pounds of fur! He's the most snuggly, loving cat that I've ever had. He'll crawl on your lap, go right to sleep, and keep you quite warm! There's no need for a blanket with this loving guy is snuggling with me. Not only are these the best fur babies I could possibly ask for, they are also best buddies. They play, they wrestle around, and sometimes they get angry with each other, as siblings do, but at the end of the day, they love each other lots and they are never too far from one another. I'm so glad I have these two fabulous cats in my life! I talk about my cats with my students ALL the time. They know my cats by name, know which one is which, and I've even been told that they share some of my crazy cat stories with their parents over dinner at times! 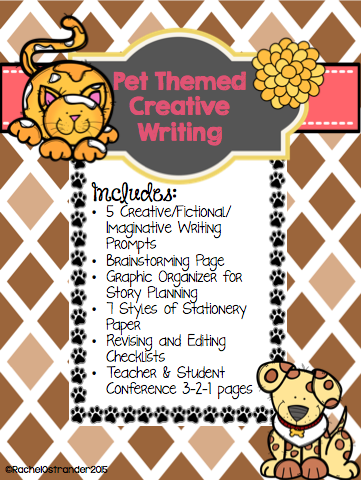 In fifth grade, we do a lot of writing, and we're currently working on creative/imaginative/fictional writing, depending on your title preference. While we're on the subject of pets, I have to give a shout out to my favorite Etsy shop for K. Grant Designs. She makes the most adorable catnip toys and blankets. My cats are obsessed with them! Tucker and Brewster with their newest blanket. Gotta get that catnip! Thanks so much for stopping by! Have a purrfect week! A special thanks to Sarah from There's No Place Like Second Grade for our amazing graphics! 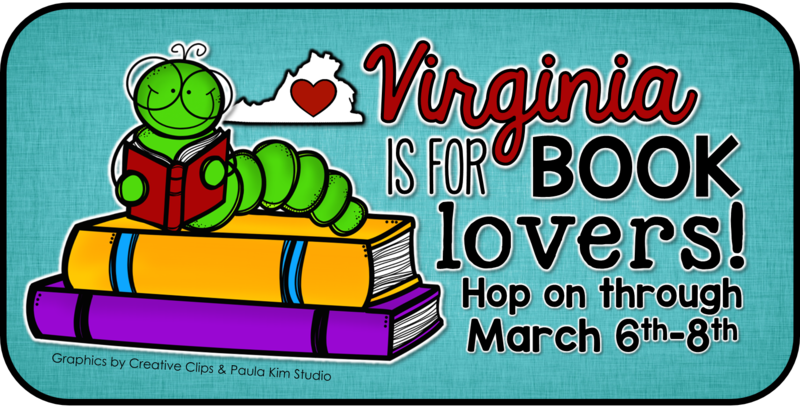 I am thrilled to be joining my fellow Virginia bloggers for a blog hop that embraces our love of reading! Each of us is happy to share a book and resource that we LOVE to use in the classroom for this very special hop. Not only that, but you'll find a book giveaway on each page of the hop, with a super huge giveaway at the end, which just happens to be here! My love for reading began at a very early age in the lap of my grandmother. She would read to me every single day. We'd spend hours at the library where I'd take out the maximum amount of books and then bring them home to read together. Those wonderful memories of reading with my grandmother are some of my favorite childhood memories and those years instilled in me a love of reading that will last a lifetime. As a teacher, I've always considered it a bonus that I am able to share my love for reading with 20-30 students each year, and hopefully pass my passion on to them. In fact, it's a first day ritual for me to tell them that they will love reading before they finish their fifth grade year. It's so hard to choose my read-alouds each year because 10 years in the classroom has given me the chance to experience so many wonderful books. Being a fifth grade teacher makes me extra lucky because I have so many different books to choose from. I love bringing in picture books for lessons, and I love to read chapter books. In my classroom, I do my chapter book read-alouds a little bit differently. I give each student a copy of the book (thank you Scholastic for your many $1 deals over the years and eBay for always having exactly what I need). I don't make the students read the book with me, but I give them the option of following along in the book or listening, and then, often, I might use a part of the book for a specific lesson, which makes having a book in each hand even more beneficial. I try to always do something different that builds on their skills and strategies and sticky notes are a must-have for predictions, favorite parts, or anything else students want to make notes of during our reading. Which brings me to one of my favorite stories, a newer one that I LOVED the instant I read it, The One and Only Ivan by Katherine Applegate. This story is filled with so much emotion, and students absolutely embrace the characters, the story, and beg me to read "just one more" chapter. The One and Only Ivan is one of those stories that a teacher should fill her classroom with, to show students that reading is a fabulous, wonderful journey that is not to be missed. 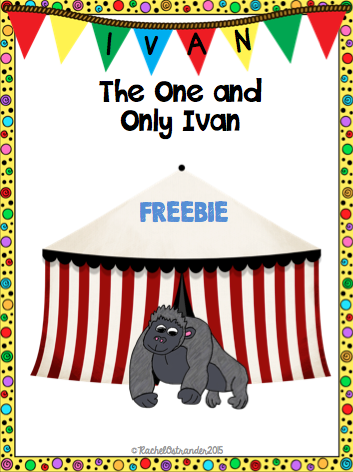 I'm sharing a freebie to accompany your reading of The One and Only Ivan. This freebie includes vocabulary, comprehension questions, and an activity to go with the first 50 pages of the story. It is a small sample of my The One and Only Ivan Literature Packet. Click on the image below to grab your freebie from my store. In addition to this freebie, I'm giving away a copy of my book in the Rafflecopter below! To celebrate our love of reading, Virginia bloggers have also put together an additional mega-giveaway. 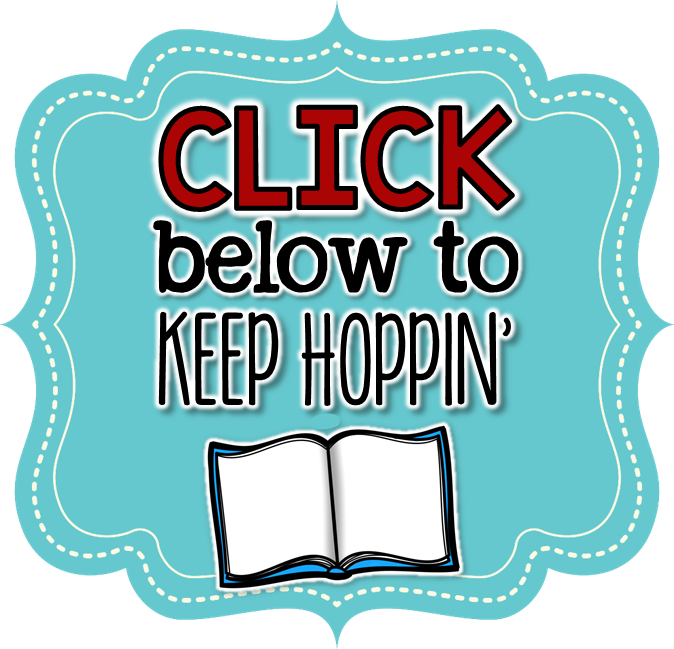 One lucky winner will win ALL of the books (that's 19 wonderful books) in our hop! Each blogger will send you the book they've talked about. Imagine receiving 19 wonderful books for free on your doorstep and sharing them with your lovely students! Enter below for the chance to win! Thanks so much for hopping by! If you haven't had the chance to hop through yet, be sure to click below to head over to the beginning of the hop at Comprehension Connection! You don't want to miss any of it!